Peaches have been so amazing this summer, and I’ve been having a great time finding new ways to eat them up. 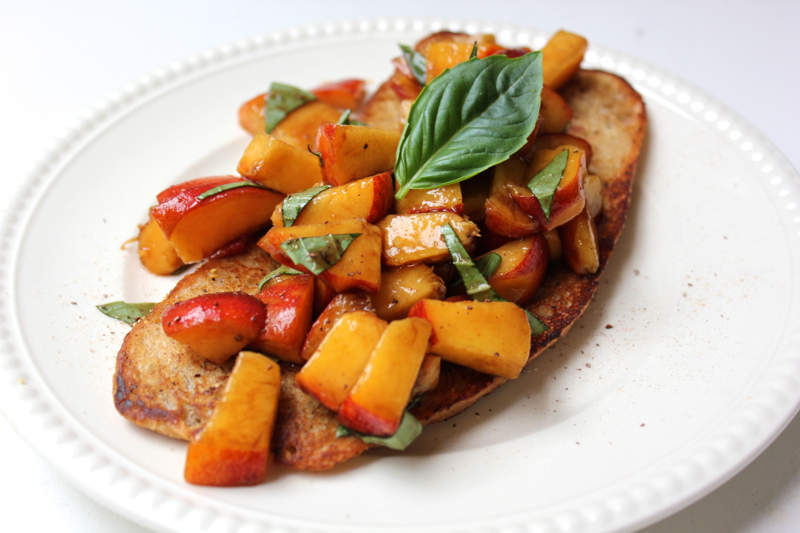 This breakfast bruschetta is unique because it combines crunchy, buttery toast with balsamic-marinated peaches that provide a sharp zing to cut through the richness. The only thing that could make this breakfast better is a sunny patio to eat it on! 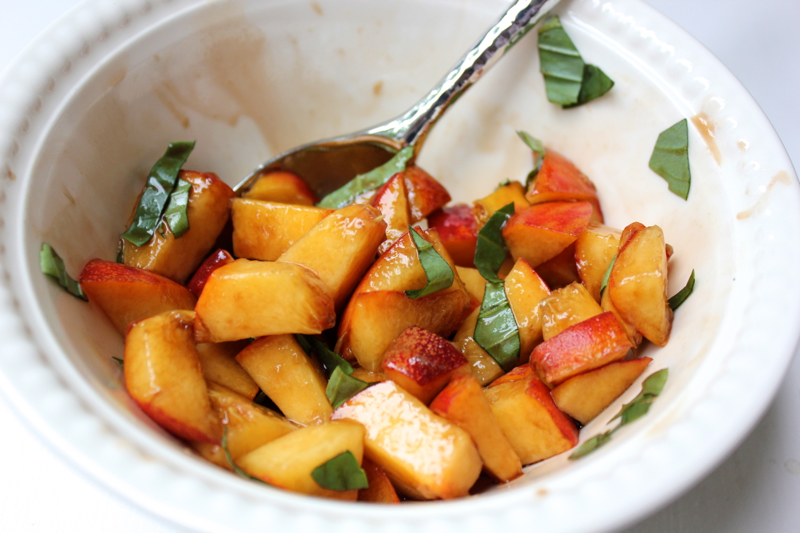 To make this bruschetta, dice up one peach, and put it in a bowl. Pour over 2 tablespoons of balsamic vinegar, 1 teaspoon of sugar, and 1 tablespoon of roughly-chopped basil. Stir the peaches around, and set them aside to marinate while you prepare the toast. To make the toast, melt 1-2 tablespoons of butter in a pan. Put the bread in the pan, and let it soak up the butter on both sides. 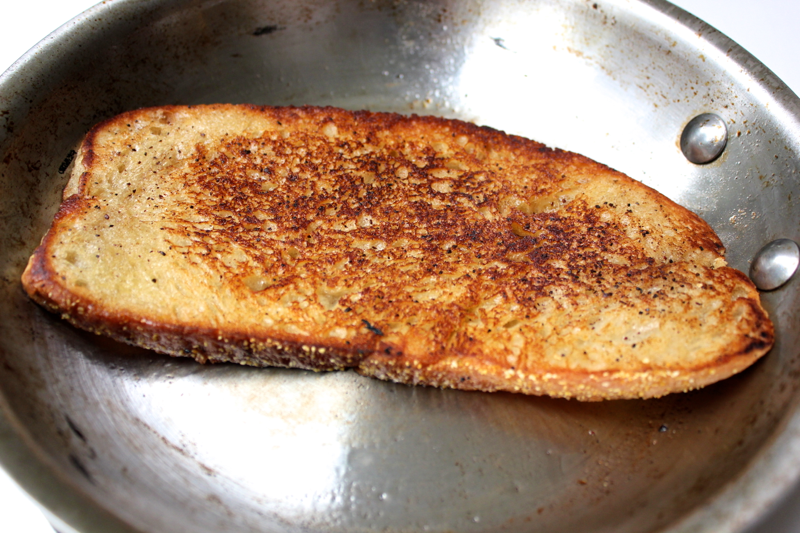 Sprinkle both sides of the buttery bread with cinnamon and sugar, and then toast the bread in the pan, pushing down on it with a spatula until it is golden brown. 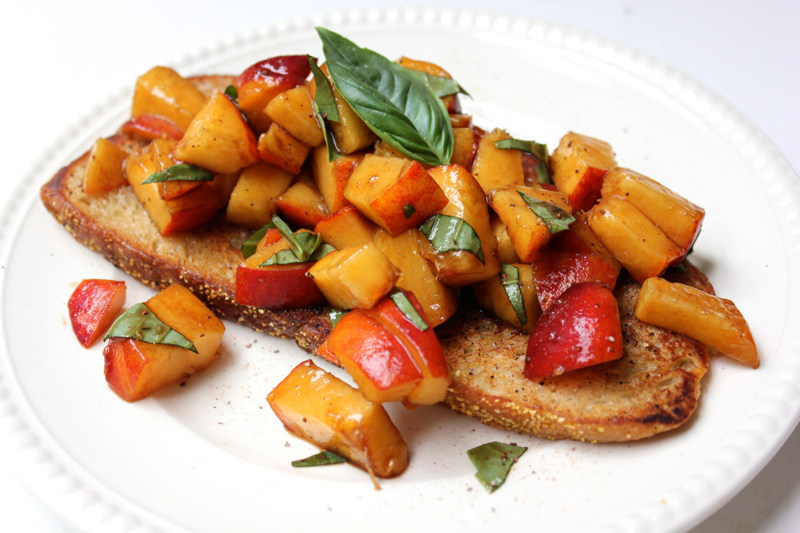 Transfer the bread to a plate, and spoon over the balsamic-marinated peaches. You can drizzle over any leftover balsamic marinade as well. Cut into this bruschetta with a fork and a knife, and enjoy the contrasts of crunchy bread against ripe peaches and buttery toast against sharp vinegar. This bruschetta helped me start the day with a real spring in my step!